Notice! 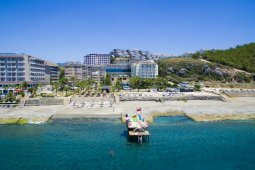 Sueno Hotels Deluxe Belek does not accept reservations at this time. Please try again later. Sueno Hotels Deluxe Belek Contact. Boasting an outdoor pool, Sueno Hotels Deluxe Belek is situated in Belek and provides modern accommodation. There is also a fitness centre with a swimming pool. There are a range of facilities available to guests of the hotel, including a kids pool, valet parking and an all-inclusive meal plan. The in-house spa and wellness centre provides a variety of treatments and a chance to relax. Sueno Hotels Deluxe Belek has 426 rooms that are fitted with all the essentials to ensure a comfortable stay. Guests staying at Sueno Hotels Deluxe Belek can enjoy a unique dining experience at the in-house restaurant, conveniently based for those who want to stay nearby when looking for a bite to eat. There is also a selection of drinks to choose from at the outdoor bar, which has a view of the beach. There are a variety of eateries near the hotel, and Kumkoy is an easy car trip away. 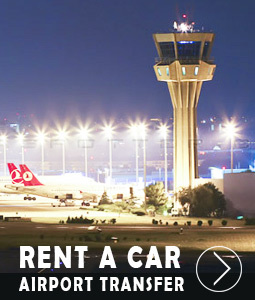 Antalya Airport is a 45-minute drive away. Sueno Hotels Deluxe Belek accepts VISA and reserves the right to temporarily hold an amount prior to arrival. Sueno Hotels Deluxe Belek accepts Master Card and reserves the right to temporarily hold an amount prior to arrival. Sueno Hotels Deluxe Belek accepts Maestro and reserves the right to temporarily hold an amount prior to arrival. Sueno Hotels Deluxe Belek accepts American Express and reserves the right to temporarily hold an amount prior to arrival. Sueno Hotels Deluxe Belek accepts Bank card and reserves the right to temporarily hold an amount prior to arrival. Sueno Hotels Deluxe Belek accepts ATM card and reserves the right to temporarily hold an amount prior to arrival. 07:00 - 10:00 Breakfast (welcome with sparkling wine, priority to children, diet buffet, massage service, grapefruit and orange juice, served in tea and coffee pots. ** Note: A la Carte restaurants are available upon request. It is possible to book only 1 restaurant at the same time. 0-6 age children free, 7-12 year old children 50% discount. Fish and Barbecue Opening date 01.05. It is applied. 08:00 - 00:00 | Lobby Bar & Terrace | Domestic and foreign, alcoholic and non-alcoholic beverages. For 24 hours | Lounge Bar | Domestic and foreign, alcoholic and non-alcoholic beverages and high quality SPECIAL drinks. 23:30 - 03:00 | Disco | Domestic and foreign, alcoholic and non-alcoholic beverages. 09:00 - 00:00 | Pool Bar | Domestic and foreign, alcoholic and non-alcoholic beverages. 12:00 - 17:00 | Sueno Square Bar | Domestic and foreign, alcoholic and non-alcoholic beverages. 12:30 - 00:00 | Snack Bar | Domestic and foreign, alcoholic and non-alcoholic beverages. 10:00 - 19:00 | Beach Bar | Domestic and foreign, alcoholic and non-alcoholic beverages. 10:00 - 19:00 | Pier Bar (as of May 10) | Domestic and foreign, alcoholic and non-alcoholic beverages. Note: The main restaurant serves a wide range of table wines. In all bars (except for the beach and pier bar) bottles of beverages are served. (Products without bottles are served with the original package). Drinks are served up to your sun lounger in the pool area, complimentary grapefruit and orange juice are served. Birdie Bar located in the golf club is closed from 01.07-31.08. Domestic / Foreign Drinks and Soft Drinks: Beer, Ayran, Turkish Coffee, Raki, Bitter, Vermouth, Gin, Vodka, Rum Tequila, Cognac, Wisconsin, Liquor, Sparkling Wines. All year round service; Summer Concept between 01.04 - 31.10, Winter Concept is applied between 01.11 - 31.03. There may be differences in Summer and Winter concepts. You can get detailed concept information or information about toll-free services from our offices, catalogs or sales consultants. 0-11,99 AGE CHILDREN FREE BY SINGLE. "Between 01.04.18-17.05.18 MINUTES 4 NIGHTS 18.05.18-13.06.18 MINUTES 5 NIGHTS 14.06.18-20.09.18 MINUTES 6 NIGHTS 21.09.18-31.10.18 MINUTES 5 NIGHTS"
The resort has a minimum stay of 2 nights. ENBE ORCHESTRA accompanied by gala dinners and surprise fun, the New Year's Gala program is included in the prices. Definitely a very high quality hotel. I have experienced many top tier all- inclusive hotels around the world. This hotel is one of the better ones. Excellent service, fantastic food, magnificent designs, beautiful nature (including breath taking sunsets and a beautiful beach) and a wide variety of activities makes this hotel a gem. This is a wonderful hotel. Absolutely lives up to all the advertising and more. Facilities couldn't be better. Food really good. Just watched a concert and we give 100% marks. Absolutely fabulous. Our room is superb looking right down the pier. Room number 4261. Hard to explain and find the words - excellent, superb service. Very nice and polite personnel. Very delicious food and verify of cuisines. Absolutely fantastic and marvelous hotel with simply fascinating facilities and amenities and personnel. Perfect place for family vacation. Everything is top notch. Totally fantastic. Everything big, beautiful, clean and rich. The most beautiful stay we have experienced. We will never forget. Keep this tempo / level of service and people will be happy to come back. - Room category, the suite is upgraded in the direction of availability. - At a carte restaurant, a heart-shaped cake is served. - Fresh flower arrangement in the room. - Incense and scented candles are placed in the room. - A fruit basket and a bottle of sparkling wine are offered in the room. - Free breakfast is served on the floor every morning of your holiday (breakfast time is decided by the guest associate at the time of check-in). - The suite is decorated with bamboo leaves and rose petals. - A'la carte restaurants serve a free evening meal and sparkling wine on a private table adorned on one of our restaurants. (During the day of your dinner, the guest associates decide with the attendant). - Spa treatments at the SPA are 25% discount and hospitality is offered in one of the private suites. - Private room decoration on the honeymoon (roses, slippers, bathrobes, heart shaped balloons, etc. ).